← Clueless…and Proud to Admit It! Everybody knows the famous line from City Slickers. 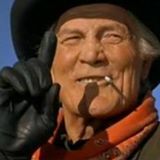 During the cattle drive, cowboy Jack Palance (the unforgettable Curly) offers to tell uptight radio advertising salesman Billy Crystal about the secret of life. It’s simple, Curly states, holding up his index finger. “One thing,” Curly says. “Just one thing.” Crystal’s character Mitch asks Curly to explain what the “one thing” is. “That’s what you gotta figure out,” replies Curly cryptically. Speculation has abounded ever since as to exactly what old Curly really meant. (Spoiler alert: in the movie he dies not long after sharing this deep insight. “The man ate bacon every day,” said fellow tenderfoot Phil. “You can’t do that!”) But Curly’s quote came to mind the other day when I was thinking about how good leaders are able to maintain their focus in spite of a relentless rash of distractions. I’m sure you’ve experienced what I’m talking about. You and your team embark on a major project. Things get going with energy and enthusiasm. But soon other projects, other priorities, other agendas begin to pop up like moles in the old Whack-a-Mole game. The team gets distracted. Or worse, the leader gets distracted! He or she begins to take the old eye off the ball. And when the leader begins to lose focus, inevitably momentum grinds to a halt, progress evaporates, and frustration becomes the mood of the day. When it comes to effective leadership I like to consider the example of one of my favorite Old Testament characters, Nehemiah. His book, especially the first 7 chapters, represents a terrific, highly practical manual on effective leadership. Nehemiah had been sent from Susa, 800 miles away, to the ruined city of Jerusalem, intent on rebuilding the wall that had been torn down decades before when the city was sacked. Without the wall the city could barely function, but with the wall intact Jerusalem could once again become a viable commercial and spiritual hub — so getting the wall completed was a huge priority. And as we read when we come to Nehemiah chapter 6, the big project was almost finished! The wall was practically done! Doesn’t it seem like things can unravel the fastest as you get closer to the finish line? That’s when a handful of powerful opponents, made up of people who preferred the status quo (sound like anyone you know in your office? ), really began to ramp up their opposition, trying to stop the work on the wall. They first tried to distract Nehemiah with pleasant invitations masking sinister motives. When that didn’t work they resorted to rumor, innuendo and false accusation. Finally they even threatened bodily harm as a way to deter this highly focused leader and those working for him. But Nehemiah refused to take the bait and become distracted. He said, in essence, “Sorry, guys, no chance — I have a job to do and a wall to finish, and my team and I are not going to be deterred.” And they got it done, an accomplishment that finally silenced the critics. For Nehemiah the “one thing” was finishing the wall around Jerusalem. For me, I’ve come to realize that it’s reaching the financial goal for the alternative high school I raise money for. What’s your “one thing”? It could be personal or professional, a team effort or something you’ll accomplish solo. Whatever it is, I’m learning a valuable lesson from Nehemiah — and from Curly! Don’t get distracted. Figure out the one thing. Remember the power of focus!